These are just a few of the dog affiliate programs that we have within our network. Feel free, at any time, to check out the other programs that are offered by our merchant partners. Did you know that dogs can receive the same benefits from honey as humans do? Honey will actually calm your dog’s digestive system, give it a natural energy boost, improve its immune system and more. Therefore, why don’t you give your dog doses of honey goodness from K9 Honey. Made from raw honey, this all-natural product makes a tasty treat and food topper for your dog. 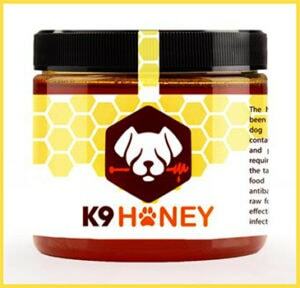 So make your furry friend happy and healthy with K9 Honey. The first program in our guide for the best dog products will earn affiliates a commission of 10% on sales. So sign up for K9 Honey’s affiliate program today! If you often travel with your dog in your car, you need an Otto Step. 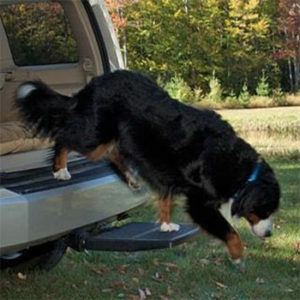 This step adapter device attaches to your vehicle and gives your pet an extra step to help climbing into and out of your car easier without strain. It will also help prevent injuries caused by jumping out of high SUVs and trucks. So if you love and care for your dog, you’ll want to have the correct measures in place to keep it safe, healthy and happy. This is quite a popular product for dog owners who travel often with their friendly companions. 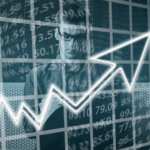 Earn a substantial 30% commission just for promoting the Otto Step as an affiliate marketer. Plastic is the 4th highest generate waste in the USA. Regular pet waste bags are made of plastic. Yeah, shame on you if you’re guilty of contributing to plastic waste. 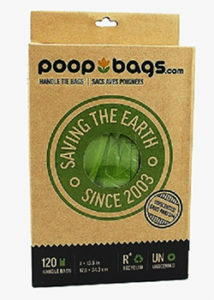 Redeem yourself today and start using eco-friendly bags from PoopBags. They are either made from plants, recycled material or USDA Certified Biobased material. These poop bags are easily decomposable and friendly to our earth. Register now to become an affiliate of PoopBags. and start earning 10% commission every time you manage to introduce a sale. We’ve all had sluggish days an days when your body doesn’t feel its best. So, what do you do? Get yourself some vitamins and supplements then you feel as fit as a fiddle again. Now, what about your dog? Your dog has those days too. But he or she can’t exactly say to you “hey, I don’t feel like woofing about today – help or go away”. If dogs could talk. Save your dog from bad days and get DoggieWater. Packed with vitamins and electrolytes best suited to keep your dog happy and hydrated. Available in plain or flavored easy to carry packs, and now you can get a 4-pack for only $19.49! 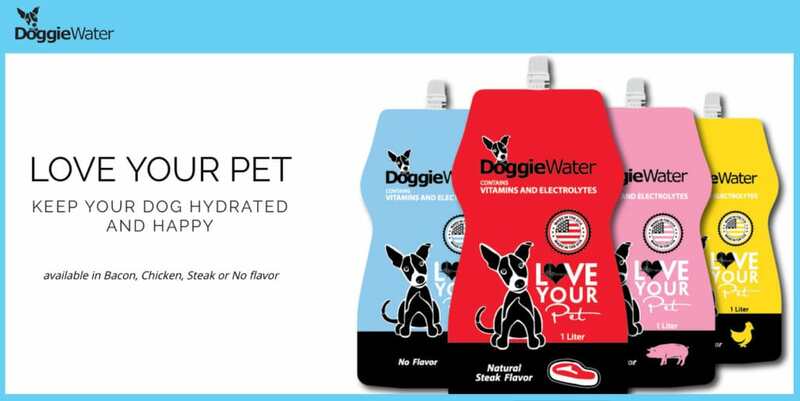 If you’re thirsty for making more money, then you should become an affiliate of DoggieWater so you can earn 20% commissions through marketing these products. You know, looking dazzling is not just for humans. In fact, some dogs have to keep up appearances too. Think about those black-tie events that call for your furry bestie to be on point and there’s always that grand walk in the park that requires a touch of class. Know what I mean? Designer dog wears, baby. 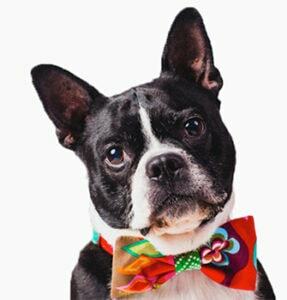 Sophisticated Pup will have your dog looking smashing with designer dog collars, leashes, bow ties and more. Your pup will be dressed to impress. Start earning commissions of 10% on every sale you make when you become affiliated with Sophisticated Pup. You made it halfway through our best dog products guide, so we hope you are thoroughly entertained. 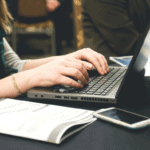 Remember, if at any stage you wish to register with any of these affiliate programs – just click on their links to be forwarded to the registration page. Getting a pet is a huge responsibility, you know. The idea is all cute but in reality, it comes with a huge load of responsibility. Have you thought it all out? i.e. regular grooming, unplanned visits to the vet, pet sitting options (plan A, B, and C), poop bags for life and maybe some destruction of your much-loved belongings. If you have, then Hello Puppy is one of the most responsible ways to adopt your pet. 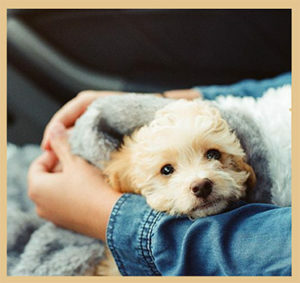 This online pet adoption service ensures that you get a happy and healthy (guaranteed) puppy from a registered breeder. Health insurance and safe travel to your home are included. Hey, dog blogger – did you see the commission reward on this one? That is some decent change! So you had better apply quickly to become an affiliate of Hello Puppy before other marketers hear about it! Can a dog ever be too spoilt? I’m asking because I just found The Puppy Nation and me got a little carried away in puppy land. 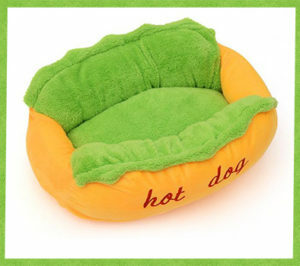 How cute is a hot dog bed for your pup? We all need a dog carrier from time to time and of course, your dog needs a smart water fountain. Oh and I think you have to get that car window fence and dog seat belt just for safety – don’t you think? All this cute puppy gear is making me broody. I want a baby – erm, I mean puppy. You know, how can the cutest hot dog bed not make you want a puppy? Think it’s just the dog products that are cute? The Puppy Nation’s affiliate marketers also receive a cute commission rate of 20% every time they land a sale. Recently, my son had to give a speech at school on why “a dog is a man’s best friend”. In preparation, we shared stories of our previous experiences with dogs in the family – one dog, in particular, Rexie, that brought so much love to the family. Our treasured memories made us teary. That’s how amazing these furry friends are to us and the least we can do is give them the best. For the love of dogs, give them the best with Projoint 3-in-1 Joint Supplement from Nutri-Q USA. Made with 100% natural ingredients, it supports healthy joints, boosts immunity and supports a healthy heart and brain. How about supplementing your income with an additional 10% from each sale that you bring to Nutri-Q? 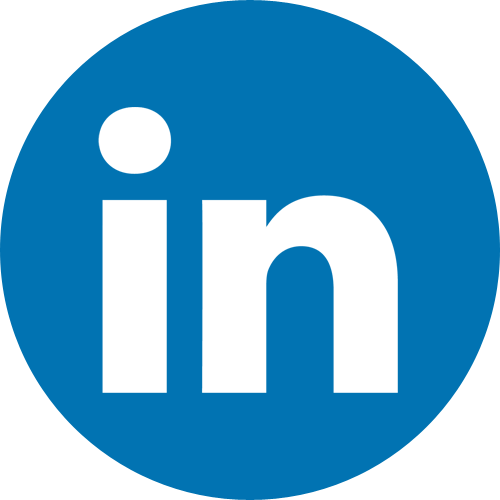 However, first, you need to be part of their affiliate marketing team. One can never love their furry friend too much. Things like tear stains on your dog’s face make you feel bad, shame. 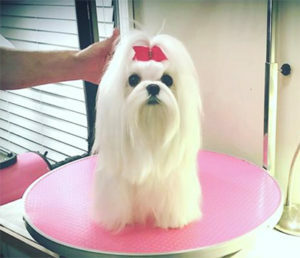 Thank goodness you can up your dog grooming game with Always Bright Eyes. This 100% natural tear stain remover will clean and lighten tear stains on light coated breeds. It contains no harmful chemicals and is safe and easy to use. Here’s a really unique item but those are the ones that always attract the most interest. So why are you waiting – apply now to become an affiliate and make 20% commission every time you invite a sale. So, you’re walking your dog out at the park. Then a stranger, a seemingly dog-loving stranger for that matter, approaches your dog to pet it. And your dog goes hysterical before you can even communicate to the said stranger otherwise – creating a scene. To avoid all the dog drama, Friendly Dog Collars have created something really smart. Color-coded harnesses with temperament awareness prints. Friendly, nervous, no dogs, caution, training and “do not pet” are some of the useful collars and harnesses you’ll find. This is a great product to wrap up the list of best dog products. 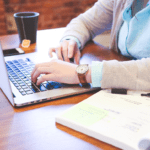 If you’re interested in generating leads through your blogs or on your social feeds, then register as an affiliate and you can start earning commissions for every lead that results in a sale. If you enjoyed our best dog products review and want to read more, then you should browse our other pet affiliate programs. There you have it – 10 of the very latest, best dog products that you can market on your own website or even social media platforms. 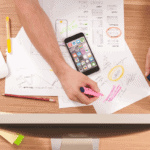 If you own a web store or you have services that you need help promoting – perhaps you should try creating an affiliate marketing program. You are more than welcome send us a message if you want to know more about merchant accounts.